Blue-footed boobies are most commonly seen down in the Gulf of California or the Galapagos, but this week they've been invading the Southern California coast and making their way up north, where very few have come before. Before this week, there'd been one sighting of a blue-footed booby in San Francisco, and just two others in the rest of Northern California. Now there have been more than a dozen. 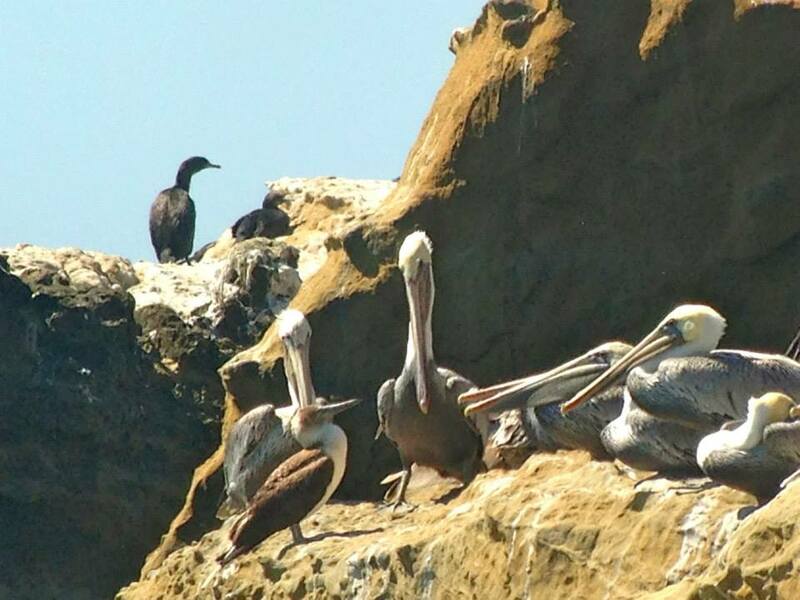 There have been sightings in Point Reyes, near Lands End in San Francisco (where on one day, birders were reporting two blue-footed boobies in the area at once) and at Moss Beach and other spots in San Mateo County. "It's really thrilling to be watching an incidence of this rarity," said Jennifer Rycenga, the president of the Sequoia Audubon Society, which is the San Mateo County chapter. "It's kind of like a Halley's Comet moment. It might not happen again in my lifetime." Sixteen year-old Logan Kahle was the first person to spot the bird in San Francisco a few days ago. On Thursday, he watched while one perched on the rocks near Lands End. He said when he first spotted a blue-footed booby, he had a hard time keeping his spotting scope on it because he was trembling with excitement. 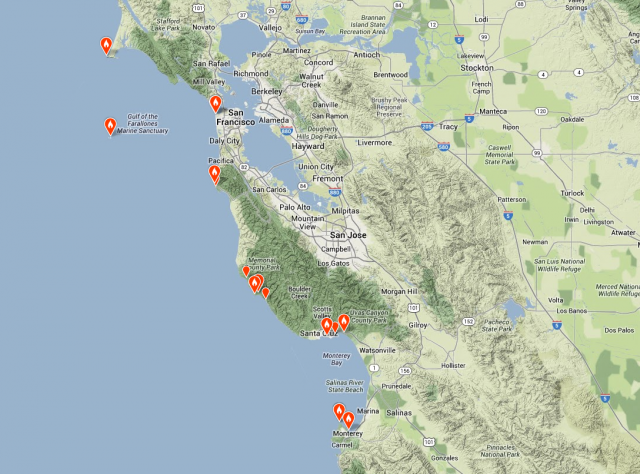 Blue-footed booby sightings in Northern California reported to the website eBird. Click on the image to go to the interactive map on eBird.org. "Winning the lottery is a good comparison," he said. "Because it's something that you may work at for years and years and years, and after ten years or so, you'll get one stellar find." Scientists aren't sure yet why the boobies are here. Some have speculated it could be connected to food supply issues in their usual territory, but Jack Dumbacher, the curator of ornithology and mammalogy at the California Academy of Sciences said it may be difficult to find the exact cause. "When events like this happen, then it gives us an opportunity to say, 'What's different?'" he said. "Why did they expand? Is there something that's not working for them back at home that they had to leave? Or is there something that's beginning to work for them up here that never had before?" Most of the blue-footed boobies in California seem to be juveniles that haven't yet developed the bright blue feet of the adult birds. But check out this video of blue-footed boobies showing off their fancy feet during their mating dance.